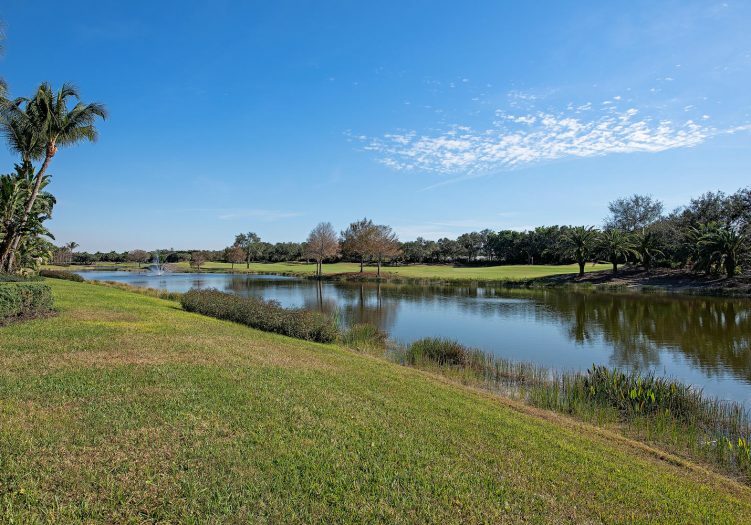 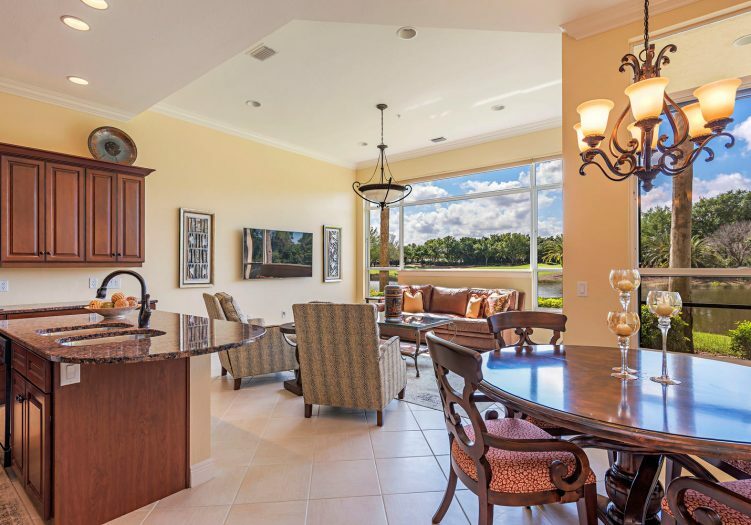 UPGRADED END UNIT WITH BREATHTAKING VIEWS OF THE LAKE AND GOLF COURSE! 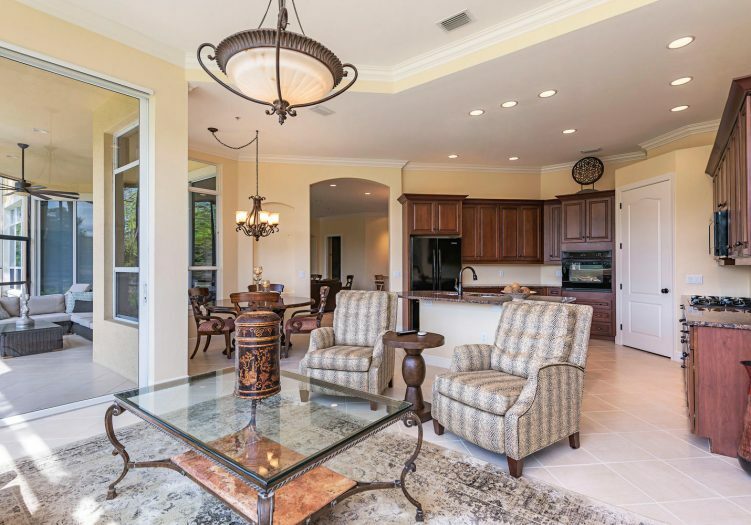 A grand foyer entry welcomes you to this stunning coach home boasting southern exposure lake & pristine views of the 8th hole of the South course. 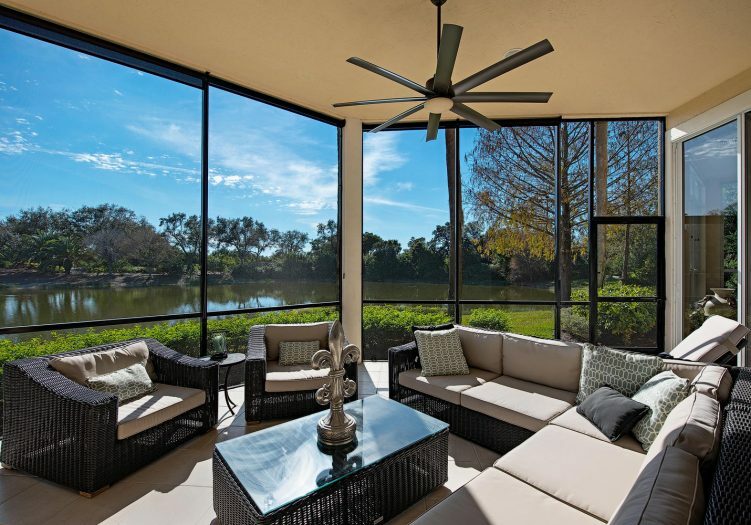 Fantastic tropical outdoor views flood the impressive great room with sliders opening to the lanai, adding depth to this already spacious and unique floor plan. 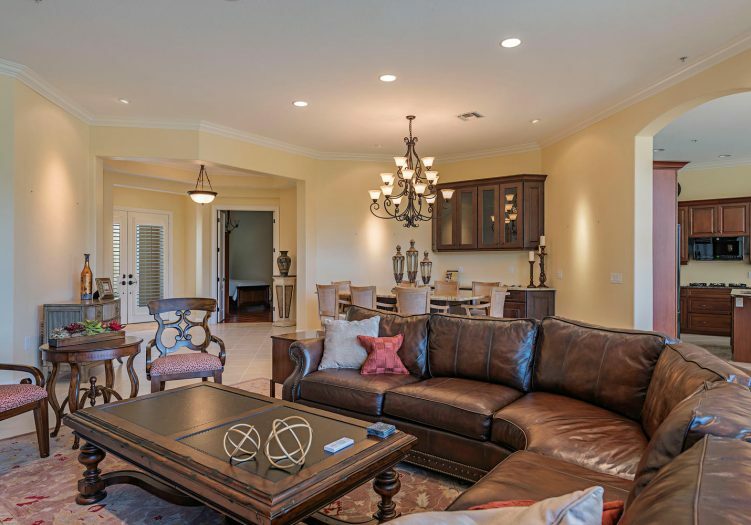 Distinctive features throughout this lovely home include volume ceilings highlighted by crown moldings, extensive windows, plantation shutters and gorgeous tile laid on the diagonal. 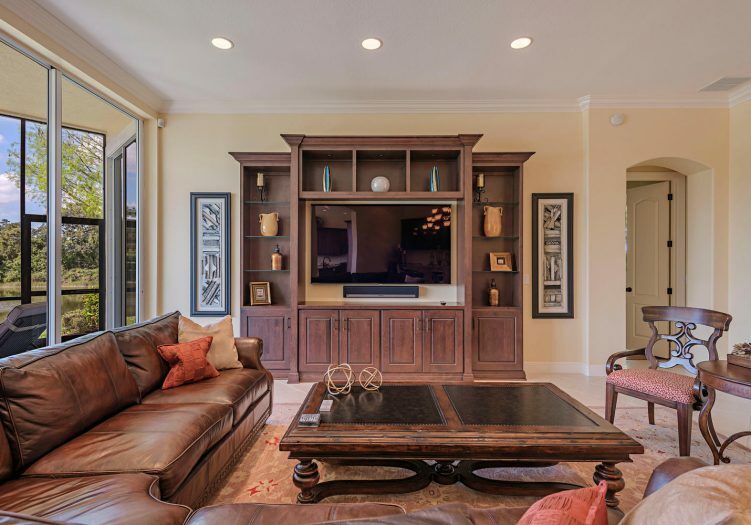 Abundant upgrades abound including new A/C, quartzite countertops, shower doors, hardwood floors, lanai screens and shades, ceiling fans, and bathroom fixtures. 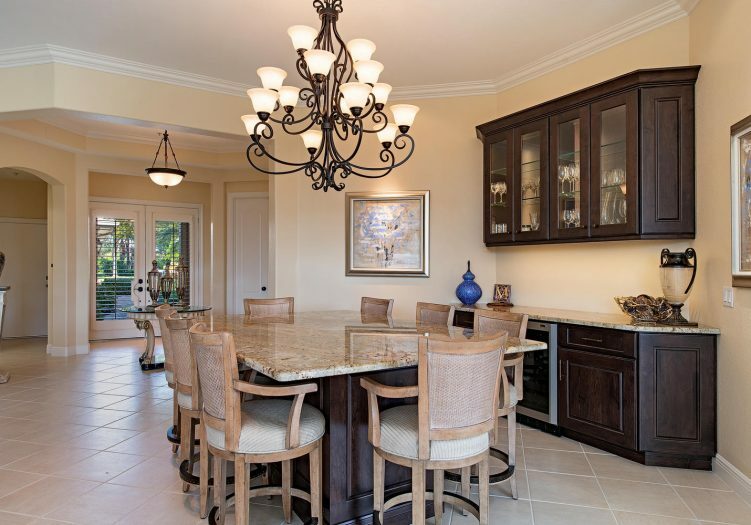 Serve special occasion meals in the tasteful formal dining room with custom built in bar, wine cooler and entertainment center. 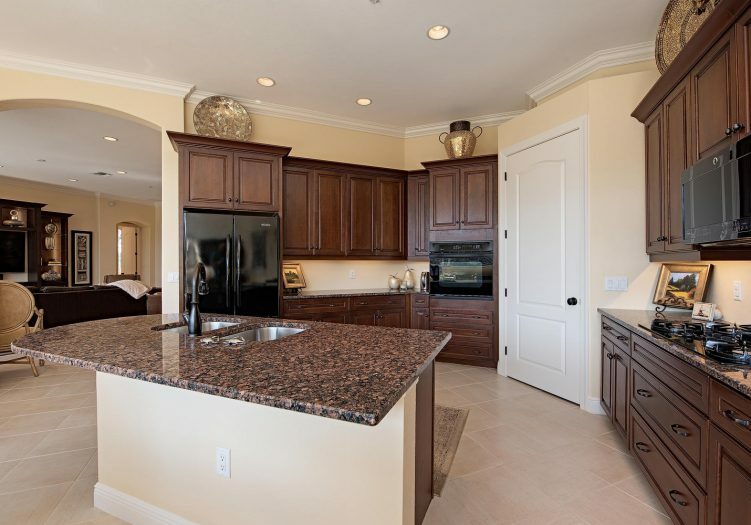 Rich wood cabinetry, upgraded appliances & granite countertops are found in the gourmet kitchen overlooking the breakfast nook and second living room. 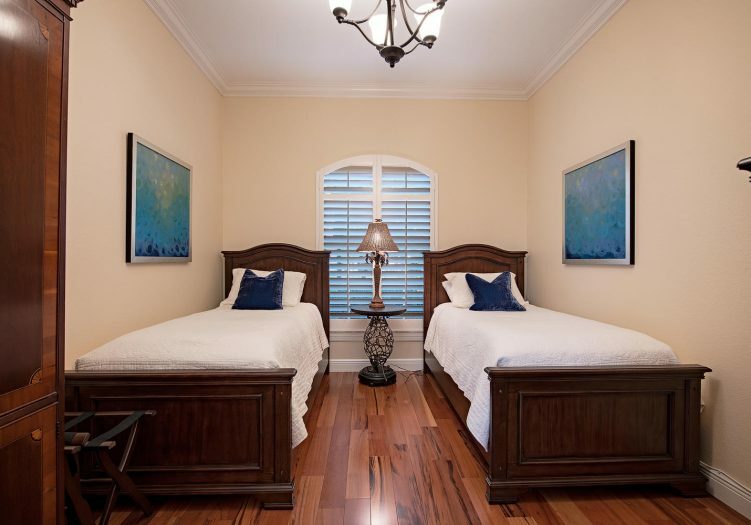 Retreat to the master suite with direct access to the screened lanai. 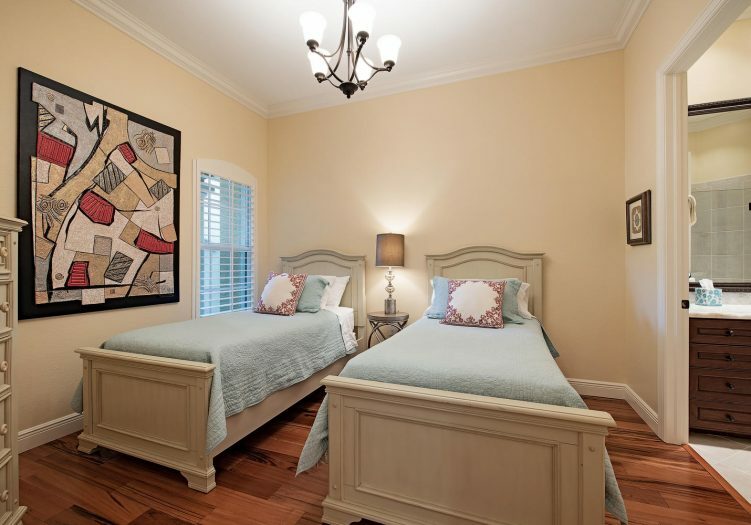 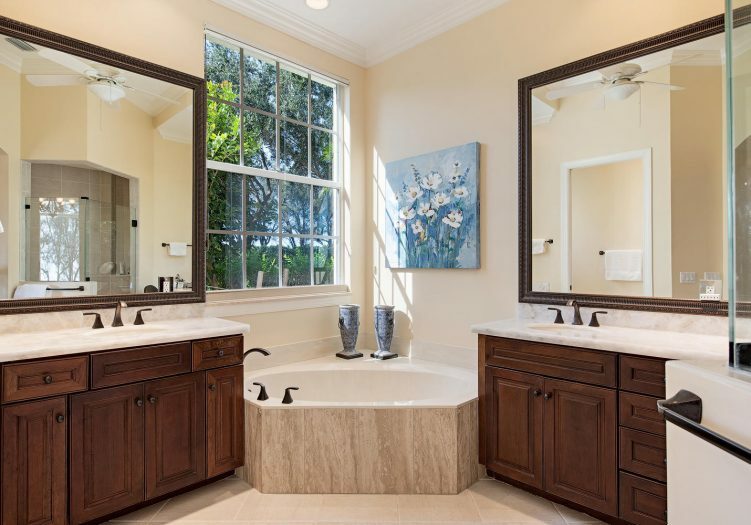 The master bath offers his and hers vanities, a large separate soaking tub and walk-in shower. 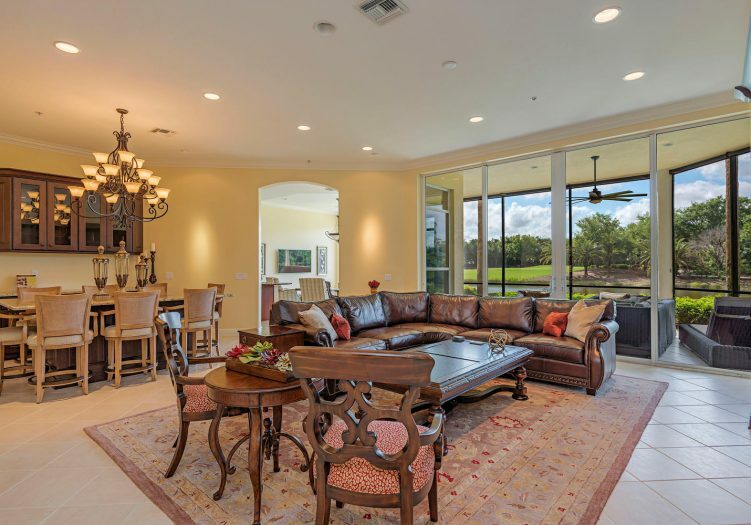 Sweeping lake and golf course views punctuate this incredible end unit floor plan from every room. 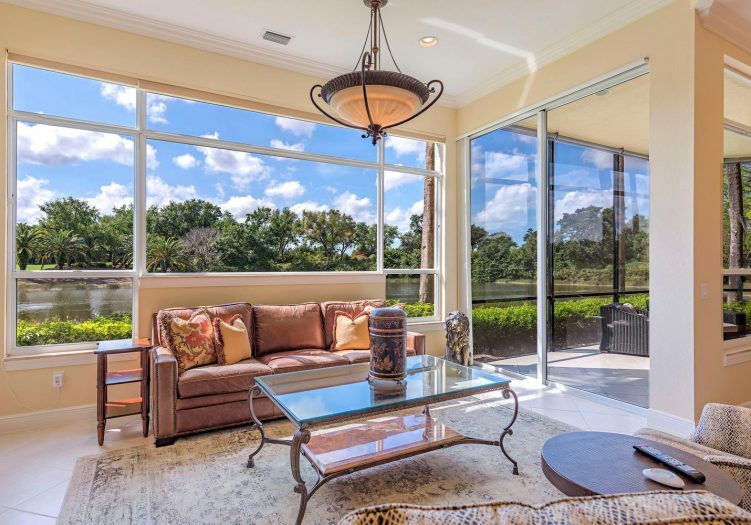 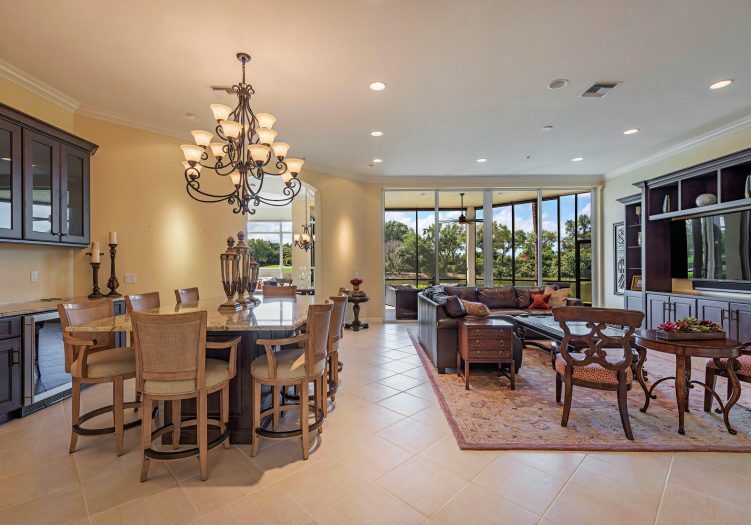 Soak up stunning views on the tropical screened lanai while enjoying the luxurious Mediterra lifestyle.